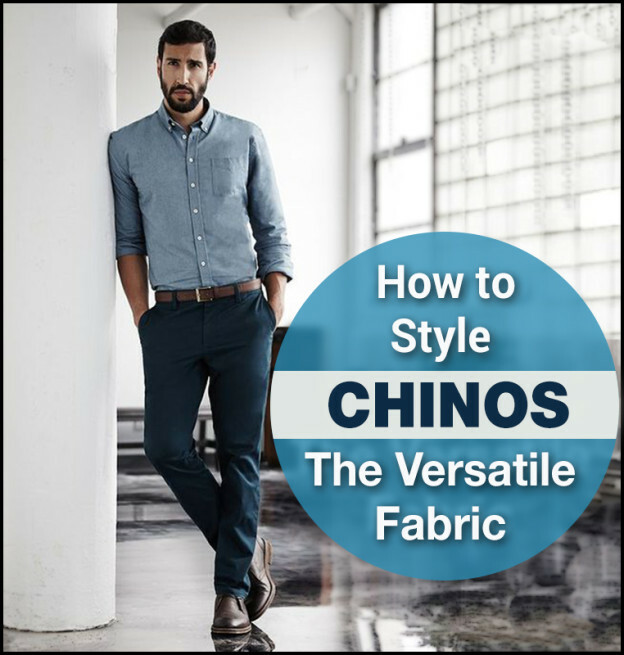 Chinos are famous in the American wardrobe since the 20th Century originating as a pant which is worn as a military uniform. Chinos refer as a style where you feel better and stylish all around. Make sure you don't wear then in the formal events. That's what dress pants are next in the spectrum. Let us save that for another day! I hope you know that chinos are meant for semi-formal occasions. It can somehow go with a dinner party or a night out for instance. Just because they dress up nice, don't go too much with that - they are not dress pants. On a serious note, you must be careful in selecting chinos because they come in a range from casual to dressy and somehow they may not have the perfect look and fit to be dressed up. Most importantly, you must get the right fit! Get it measured by a professional so that it doesn't get ruined by poor fit. Quick Tip: Pleated fronts are perfect for a streamline guy with some pounds and flat fronts are best for slimmer guys. Chinos can turn out to be a casual business get-up if you pair them with a cotton shirt, a cotton blazer with leather boots or with loafers, and a tie. For a funky or a casual look, you can roll up your pants and style them with boots or colored sneakers. If you opt for neutral colors, make sure that you choose a crisp spicy shirt, checkers or stripes. This will add five spark to your outfit with a creative top. Or you can consider some outlandish hues for pants with a plain shirt. Shoes to wear with Chinos. Styling shoes merely based on the overall look and outfit. So, you can end up with loafers, moccasins or flip-flops. But, if you are short in height and cannot opt for styling chinos perfectly then you can buy height increasing shoes in India here and add 3 to 5 inches to your height secretly. A Final Word: Dress up like this and create a style statement! Good Luck with that!